Since April 14th 2016, a series of earthquakes have devastated the residents living in the Kumamoto area. 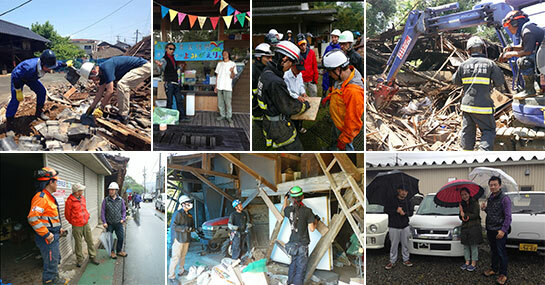 Our associates at Open Japan have been in the Kumamoto area to help support the people there. lending vehicles to support organizations and to those in need of vehicles, and have also been helping local volunteer groups. Countless issues and problems incur during times like this, and we are there to help support the residents there. Visit our Open Japan blog or Open Japan Facebook page to see more. Please indicate the amount you would like to donate and click on the puchase button.